A lot of television programmes about dogs are either mawkish and miserable - or actively misleading, giving bad advice. 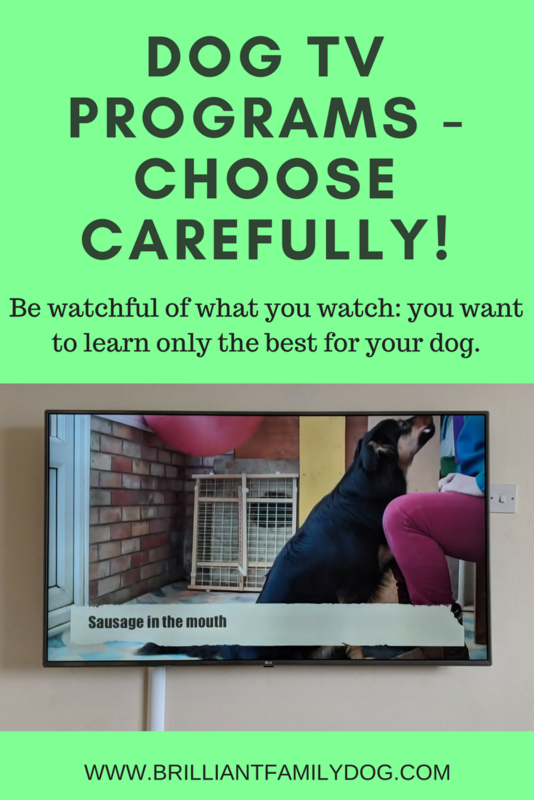 The programme-makers are always looking for the sensational to attract audiences and sell their advertising space, hence the many shows about mistreatment and cruelty to animals, and the dramatic attacks seen in some “dog-training” series. These programmes are made with no reference to the huge scientific advances in the knowledge of how dogs’ brains work, and are responsible for a lot of misery and suffering - of dogs and their owners, who try to put the techniques into practice with disastrous results. It's so sad when clients come to me with a problem that has been made considerably worse after trying these inappropriate or downright barbaric methods. So it’s good to come across a show that I can actually wholeheartedly recommend! UK viewers had a treat recently when a couple of well-known force-free behaviourists (Chirag Patel and Sarah Fisher) and a like-minded vet got together to deal with some very difficult cases - from a variety of animals. As well as a couple of dogs, there were a cat, a rabbit, a pig, and a parrot. It did have a sensational title - Nightmare Pets SOS - but the rest of it was fine. So what this meant in effect, was that the terrier who pulled frantically on the lead should be given a slack lead; the “vicious” parrot who didn’t want to interact with its owner was allowed space; the cat who was not using his litter tray was given the correct size and number of trays, and privacy; the pig was taught to go to his mat instead of begging from the customers in the pub he lived in; and the biting rabbit was given peace, suitable housing, and could only be handled with its permission. In addition to this, the animals were offered enrichment with toys and objects they could interact with so that their brains were stimulated into more acceptable activities. There was no need to have more control of the animal, more restraints, tighter boundaries, or "NOOOOO". The animals were offered a choice in their care. And their owners were surprised how quickly their recalcitrant pet changed once they stood back and allowed a moment’s reflection and a freely-given choice. And they were united in appreciating that this could all be done without confrontation, without more controls, without alienating their pet further. All the pets had a successful outcome in varying degrees. Why did the success vary? Because once the owners had been shown what to do, it was entirely down to them to accept the advice and follow through with the training! It was very rewarding - as it was for those trainers on the programme, and indeed anybody involved in this type of work - to see how some of the owners really did what they were asked, and got the results to prove it. Any who carped and complained and made excuses didn’t get so far. And where have you seen those five points before? Here! All over Brilliant Family Dog you’ll see this training in action. It gives you workable solutions to so many problems. And once you get into the swing of this way of interacting with your dog, you can work out for yourself alternative ways of changing other behaviours you are less than ecstatic about.